Mario Vargas sent me some wonderful photos of a cordwood bath house he is building near Tlaxcala, Mexico. 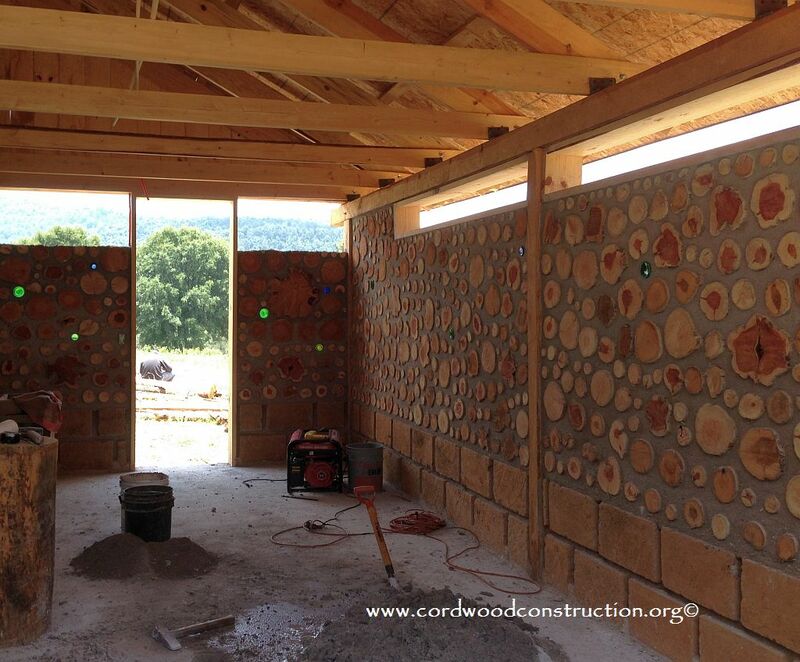 He is using white and red cedar to complete his cordwood walls. Three masons are working on the walls tuck pointing. 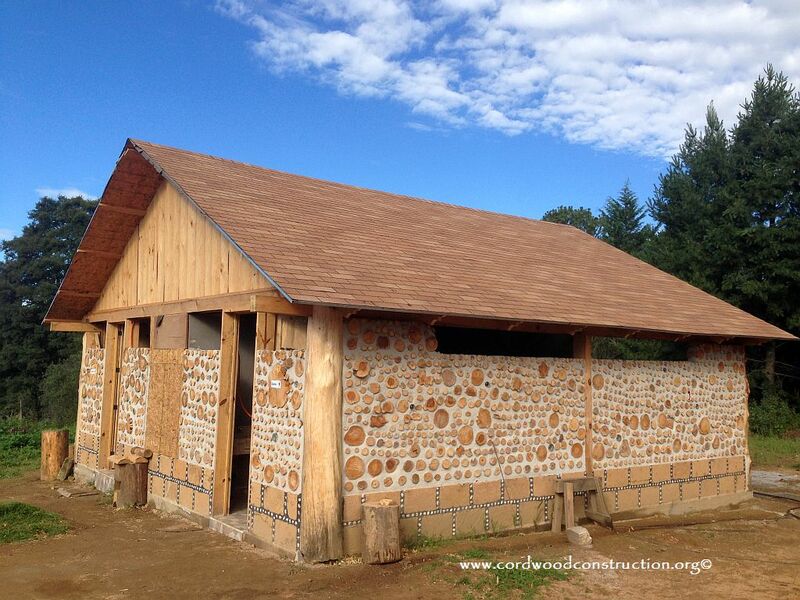 Since it is a bath house the windows are higher up in the walls for privacy and ventilation. 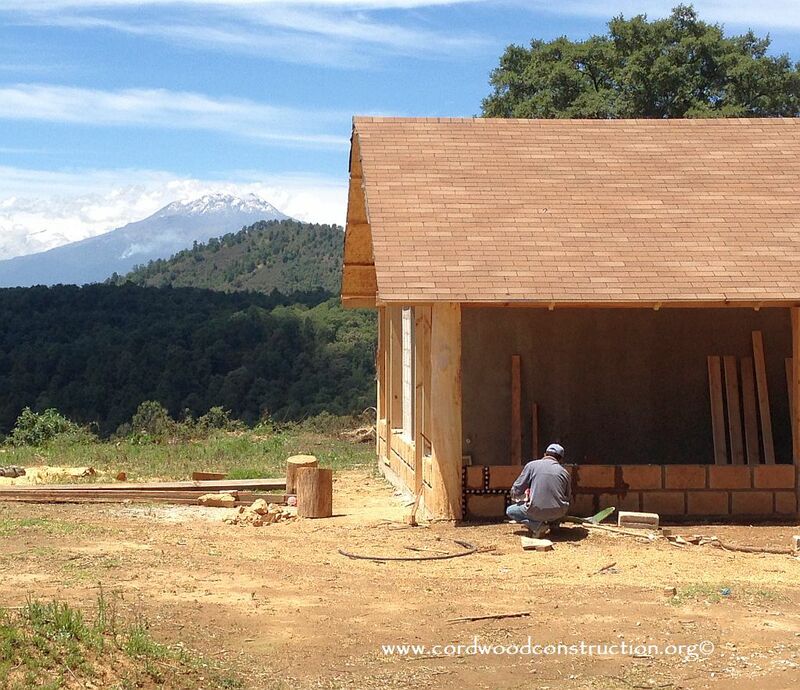 You may enjoy the gorgeous mountains in the background of the frame of the building. 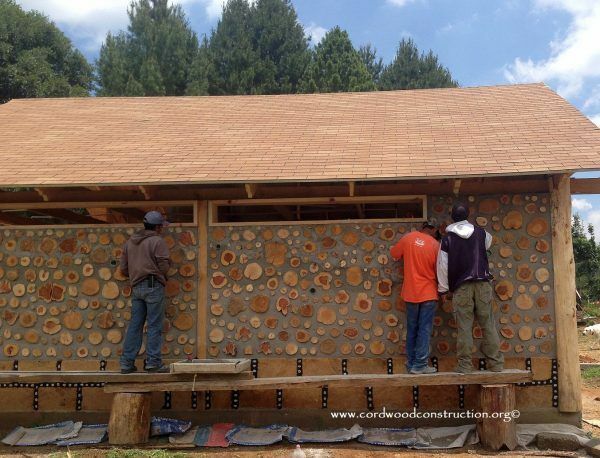 Note that the frame is “up” and the roof is “on” before the cordwood infill. 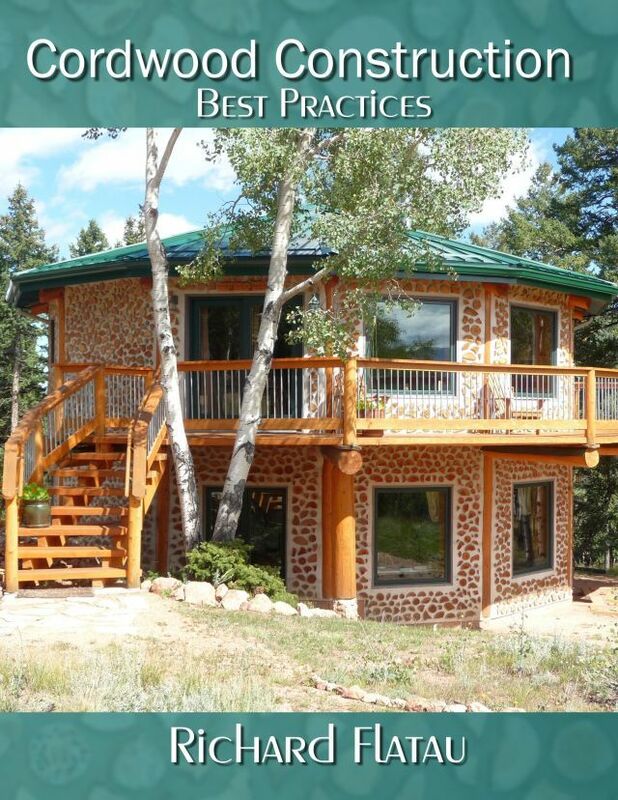 That is known as using Best Practices. The south side of the interior has the occasional bottle end. Note that the bottom two courses are block, since this will be a very wet area with all the changing and showering. 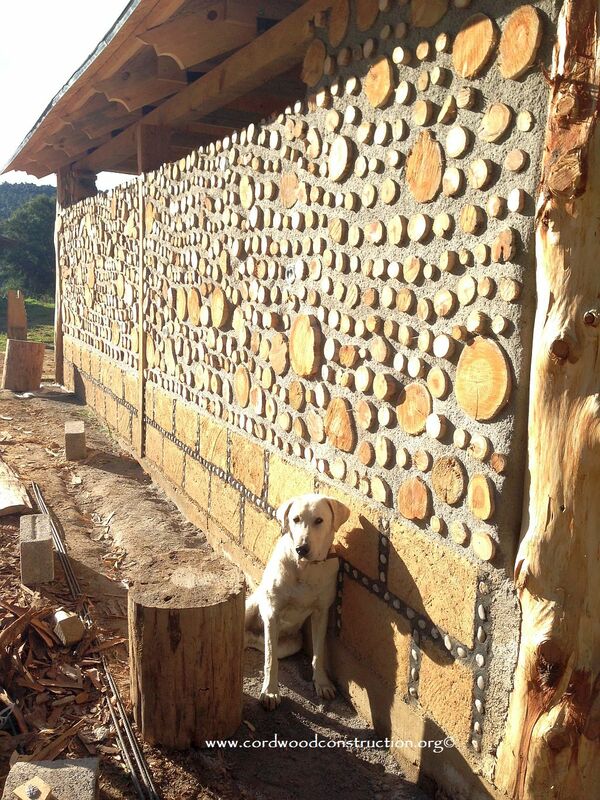 Having a pooch on site is always a pleasure for dog lovers. This one looks sweet and watchful. The building nears completion. The right side is for the gentlemen and the left for the ladies. Thank you Mario for sharing your fine cordwood work. 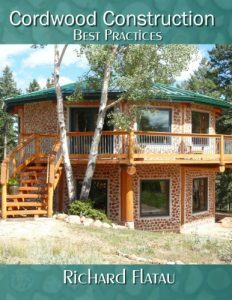 For the latest, up to date information on Best Practices with cordwood construction please Click on the Book Cover or visit www.cordwoodconstruction.org to see more photos, read brief articles and order books or plans for your cordwood project. 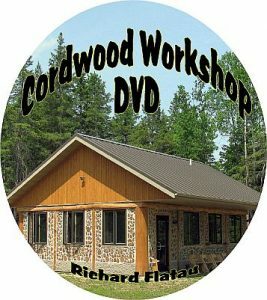 You can make a comment in the comment section or email richardflatau@gmail.com with your questions.